Our collection of free preschool activities will help you entertain even the most energetic kids! We've got preschool games you can play one-on-one with your youngster as well as party games for groups large and small. The preschool years mark an important time in your child’s development. From about 2-6 years of age, you’ll notice your child beginning to exhibit some very basic motor skills. 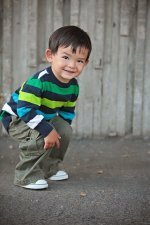 The formation of these fundamental movement patterns is crucial for building the foundation upon which more complex motor skills can be developed as your preschooler grows older. Locomotor skills – Preschool games allow kids to learn movements that help them transfer their bodies from one location to another. Walking, running, skipping, and galloping are examples of locomotor skills. Non-locomotor skills – Some activities give kids a chance to work on skills they need to keep their balance and manipulate their bodies while staying in one place. Bending, twisting, swaying, and rocking are examples of non-locomotor skills. Manipulative skills – Some of my favorite games for kids involve controlling an object like a ball by throwing, catching, kicking, and striking. The games and activities for kids listed in this website give children the opportunity to develop multiple skill combinations all within the same game. With practice, by the time kids are about 6 years old, some of their fundamental gross motor movement patterns have started to mature, and they're able to start learning more complex, sport-specific skills. By playing our wide variety of games for kids, your child will be challenged with many different tasks, manipulatives, and motor demands which will allow them to explore new ways of moving and interacting with others. These free preschool activities also give kids the chance to socialize with others and learn important concepts like teamwork, sharing, and taking turns which they'll need to enjoy playing with others. Understanding the stages of child development will help you select games appropriate for your kids so they are sure be successful and have fun. Baby Activities for the really little ones! You're sure to find some good preschool activity ideas as well as many other kids sports activities in our Recipes for Play! Just search through the games until you find one that fits your playing area, ability level, equipment, and needs. Complete list of our kids sports activities and games!